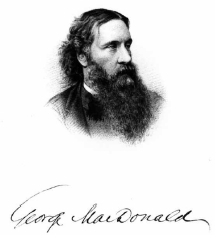 I currently working on a complete revision of http://www.george-macdonald.com which should make it much easier to navigate and find what you are looking for. I am making good progress but, as always, the devil is in the details! The aim is to go live by Christmas, so watch this space. An insightful essay by Michaela Fojytikova on George MacDonald’s ‘The Shadows’ has been published at www.george-macdonald.com/the_shadows.html. Michaela is a Slovakian student living in Austria and would welcome your comments.